Liverpool is 176 miles from London in Northwest of England. Its population is 470,000. 13.8% of which are BME.1.5 million people live in the wider Liverpool City Region. The city covers 11,160 hectares, 1,000 hectares are a UNESCO World Heritage site. 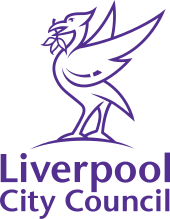 Liverpool City Council (THE LEGAL ENTITY) is the Local Authority governing the metropolitan area and is responsible for all local services including schools, highways, social services, culture, regeneration, economic development & planning. The City is home to world class cultural organisations including; The Royal Liverpool Philharmonic Orchestra (RLPO), Tate Liverpool, Liverpool Biennial, The Bluecoat (oldest established arts organisation in the UK), Foundation for Art and Creativity (FACT), the UK’s leading media arts centre, National Museums Liverpool, The European Opera Centre, Liverpool Biennial, Liverpool Everyman and Playhouse Theatre Trust & Milapfest. All have international links.A further 31 arts organisations call the city home. 20 major festivals take place every year, with 17 having music as a core element . (The City was awarded UNESCO Music Cities status in 2016). The City Council works regularly with 4 leading Universities based in the City Region: University of Liverpool (UoL), Liverpool Hope University, Liverpool John Moores University (LJMU) and Liverpool Insitute of Performing Arts (LIPA), there are excellent links to wider business clusters and knowledge economy partners.